Who says the physical auction is dead! A trend of major investment in auction locations across Canada is continuing as ADESA Canada says it will mark the launch of ADESA Windsor with back-to-back grand opening events on June 10 and June 17 from 10 a.m. to 12 p.m. Formerly ADESA Kitchener’s satellite location in Tilbury, the new ADESA Windsor facility is a fully renovated, modern auction. ADESA says the location will serve southwestern Ontario and American dealers, brokers, manufacturers and other customers with a full-service suite of vehicle remarketing solutions. The facility’s offerings include two lanes, a detail shop, mechanical shop, transportation services, post-sale inspections, condition reports and more. Anil de Silva will continue to manage and oversee the operations of the facility. This marks the company’s 14th full-service Canadian auction location. “This location has been operating successfully as a satellite facility for ADESA Kitchener. Due to consistently increasing customer demand in the region, it was time to renovate the facility into a full-service auction,” said Trevor Henderson, chief operating officer of ADESA Canada. As the market has continued to see a number of digital and app-based vehicle and consigner auctions enter the space, the big players have invested and grown physical presences across Canada and the United States. This year alone has seen grand openings and announcements for Manheim facilities in Edmonton and Quebec City. Back in February, ADESA parent company KAR Auction Services entered a definitive agreement to purchase the Brasher family’s eight auctions for $283 million. 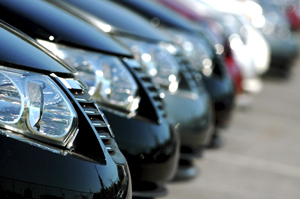 More recently, ADESA completed its purchase of Sanford Auto Dealers Exchange in Florida.